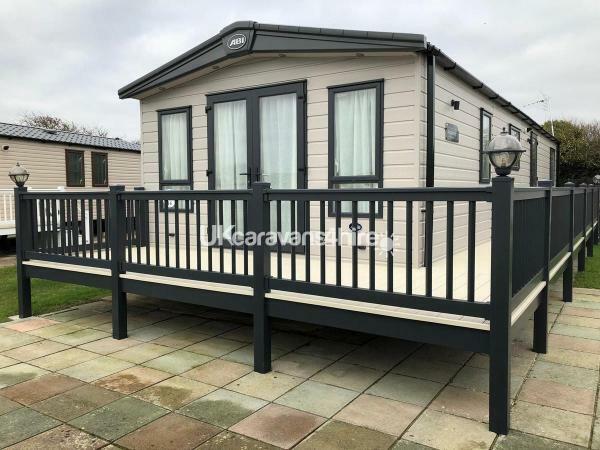 Additional Info: Full Wrap-Around Decking With Lockable Gate Providing A Safe Area For Children To Play. £100 deposit is required at the time of booking to secure your booking, this will be refunded once all the relevant checks have been carried out after your stay. The payment for your holiday is due 6 weeks before your stay, if you cancel your booking at anytime your £100 security deposit will not be returned to you. 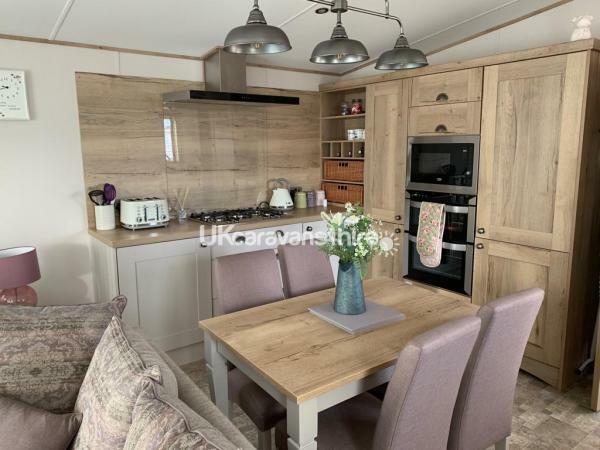 Hopton Holiday Village Brand New 2019 Top Of The Range Luxury Caravan with Double Doors Opening onto a Beautiful Wrap Around Veranda. 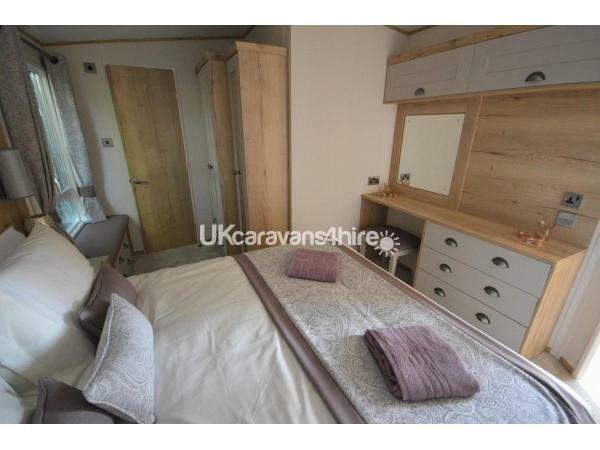 Caravan is situated in a fantastic location 2nd row from the sea front with easy access to the beach. 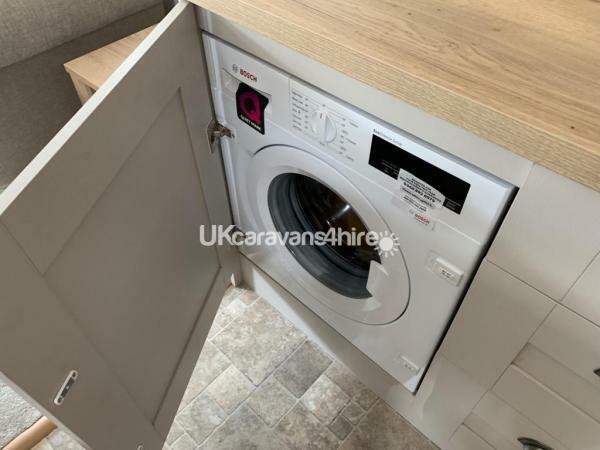 The caravan is in good location and safe for children to play outdoors. Close to all the sights facilities and entertainment without suffering from late night noise. 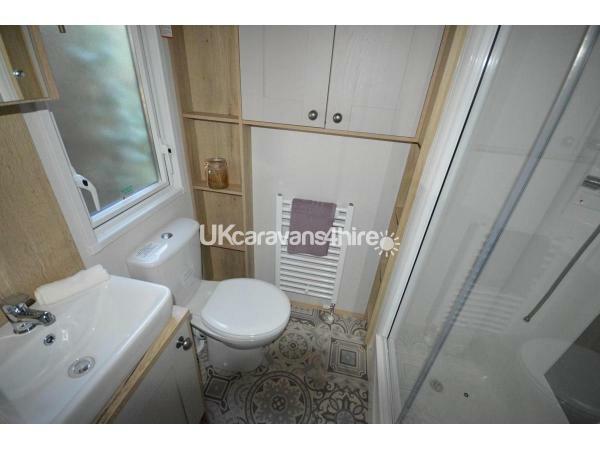 Parking space right outside the caravan with gated side decking. 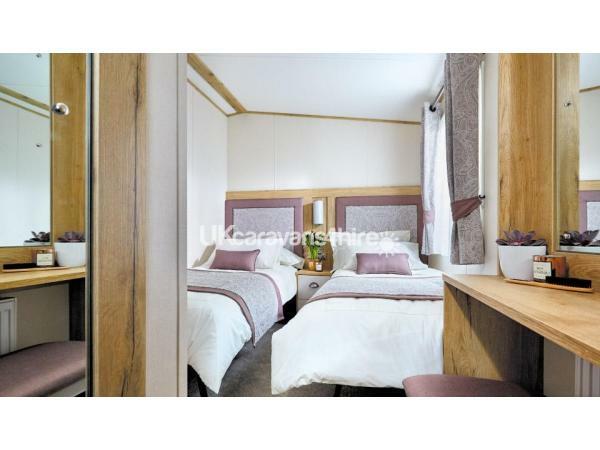 Extremely modern and stylish layout with designer soft furnishings and colour co-ordinated accessories. 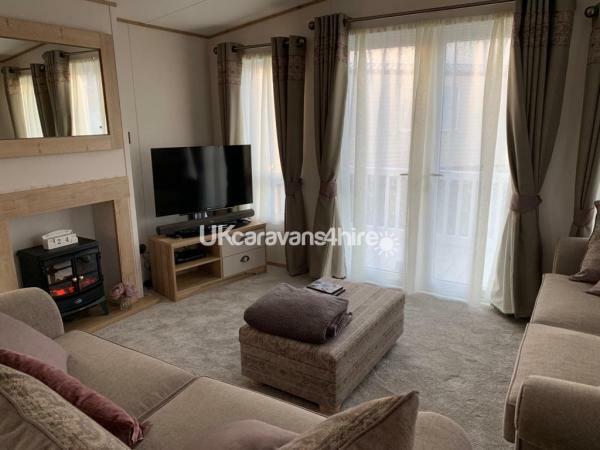 Pull out sofa in the living area, electric fire, 49" LCD free-view TV and blu-ray player in the lounge. 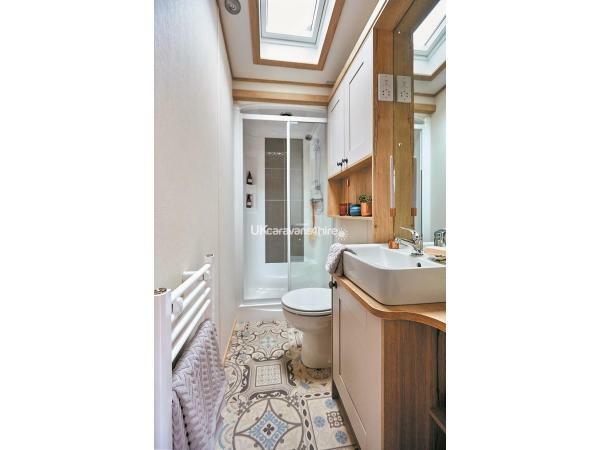 Access Through Side Door Into A Beautiful Hallway Ideal For Families With Prams Etc. 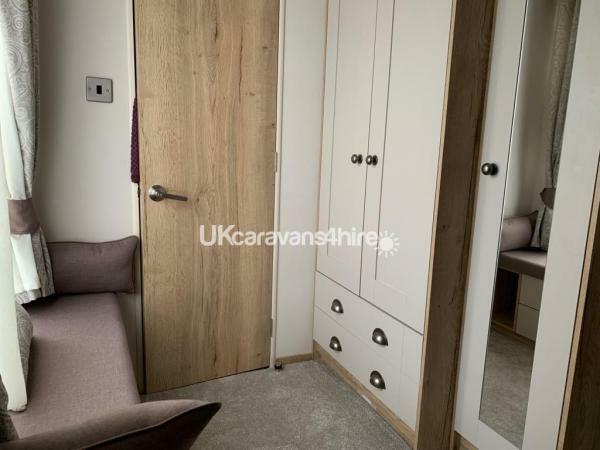 Master Bedroom - Has a kingsize bed with luxuary deep filled mattress - dressing area - ensuite bathroom with shower - dressing table -USB plug sockets - 37" LCD TV with Free View - hair dryer. Hopton on Sea won the best British Park for 2014 2015 2017 - it is also rated 5 star by Trip Advisor 2018. Situated between Great Yarmouth and Lowerstoft Hopton is one of the most exclusive and well kept Haven Parks in the area and offers a huge range of sports activities to keep you busy during the day and night. There are a variety of things to do locally and if you wish to go off the park and explore the surrounding areas you have Great Yarmouth itself, Pleasurewood Hills Theme Park, Africa Alive, Lowerstoft Harbour and so much more! Colchester Zoo is only an hour from Yarmouth also. Brand new for this season a 5 Million Pound New Marina Bar, ShowBar - Soft Play - Indoor pool - Outdoor pool - Amusement arcades - 9-hole golf course - Adventure golf - Mini 10-pin bowling -Tennis Courts -Sports court - Bowling Green - Kart hire - Kids' clubs - Shows and star acts - Launderette - Supermarket - Pharmacy - On site restaurant - Fish & Chips - Pizza - Chinese - Sizzlers American diner. 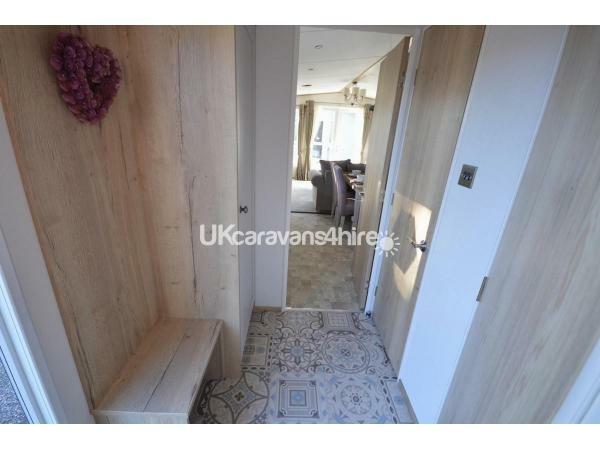 Beautiful sandy beach which over the winter period has had a 10 Million pound refurbishment. Entertainment passes are available to purchase from reception and this is also where you will collect your keys on arrival. Additional Info: Hopton on Sea won the best British Park for 2014 2015 2017 - it is also rated 5 star by Trip Advisor 2018 Situated between Great Yarmouth and Lowerstoft Hopton is one of the most exclusive and well kept Haven Parks in the area and offers a huge range of sports activities to keep you busy during the day and nightThere are a variety of things to do locally and if you wish to go off the park and explore the surrounding areas you have Great Yarmouth itself, Pleasurewood Hills Theme Park, Africa Alive, Lowerstoft Harbour and so much more! Colchester Zoo is only an hour from Yarmouth also.Indoor pool - Outdoor pool - Amusement arcades - 9-hole golf course - Adventure golf - Mini 10-pin bowling -Tennis Courts -Sports court - Bowling Green - Kart hire - Kids' clubs - Shows and star acts, Launderette - Supermarket - Pharmacy - On site restaurant - Fish & Chips - Pizza - Chinese - Sizzlers American dinerBeautiful sandy beach which over the winter period has had a 10 Million pound refurbishment. Entertainment passes are available to purchase from reception and this is also where you will collect your keys on arrival. Second year staying at this caravan and always very happy. 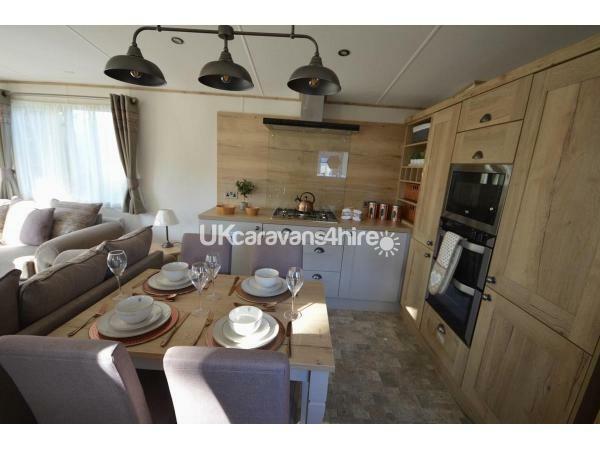 Caravan is clean,modern and in a great location and owners are very easy to contact and always helpful will be returning next year. We had a lovely holiday at Hopton. 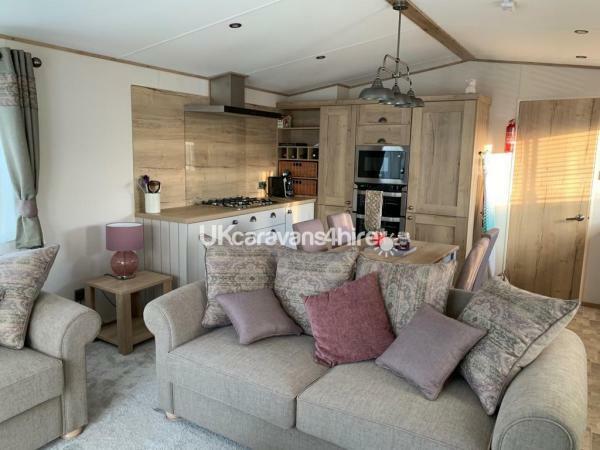 We agree with everything that the owner has put in the advert about how nice the caravan is and how good the park and its facilities are. It was lovely to be able to come out of the caravan and go down the steps to the beach and yet it wasn't far to go to all the entertainment facilities on the Holiday Village. Would definitely book to go again another year.